Robin Monarch is no ordinary man. The son of two con artists, Robin began a life of theft at an early age. After his parents occupation finally cost them their lives, young Robin was forced to use his skills to survive on the streets of poverty stricken Buenos Aires. There, he banned with other young boys, forming a fraternity of theft. His life was quickly spiraling out of control when he was seriously injured in a street heist. Rushed to a local clinic, his life was forever changed when he met Sister Rachel. Now years later, Robin, possibly the best CIA operative, has decided to start a new chapter in his life. While searching for a secretive weapon, "Green Fields", overseas, Robin sees something that disrupts his faith in the CIA. When the lab he is searching explodes, Robin ceases the opportunity to escape. The directors at the CIA are worried about the information Robin acquired, so he instantly becomes one of the most wanted men in the world. Armed with information that could change the course of modern warfare, Robin enters a race to obtain the secrets of "Green Fields" before it falls into the wrong hands. 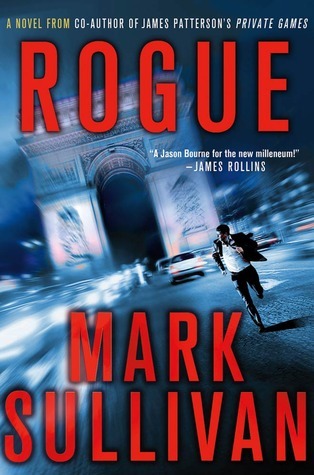 In "Rogue" author Mark Sullivan, perhaps best known for his collaboration with author James Patterson, imagines a believable protagonist in Robin Monarch. After leaving the CIA, Monarch takes to a life of crime, stealing from wealthy individuals to help fund Sister Rachel's clinic. This allusion to Robin Hood, while obvious, successfully turns the militarily robotic Monarch into a relatable character. The story is, at times, a bit predictable, but Sullivan knows how to mix suspense and action with interesting characters. Overall, there is nothing extraordinary about this novel, but it does do what it sets out to achieve. Any reader hungry for a quick action novel similar to James Rollins' Sigma Force series is sure to enjoy this book.